Mmmm... I can't decide if those are making me more hungry or more thirsty! A welcoming platter of fruit graces the table, and the guests enjoy the beautiful and tasty view along with the conservation between friends. Sweet! Love that so red apple! Your Apple is an "Apple in the eye" in this picture. I need to eat one as I have a cold. Come and visit my Ruby Tuesday too. oh, i love fruits! colorful and yummy combination! my RT is up here. That apple just pops! Great illustration for your wonderful meme -- because that's what red does! I love fruits. Happy RT! Wonderful photo. I love all these bright natural colors. Very juicy ! I love fresh juice ! 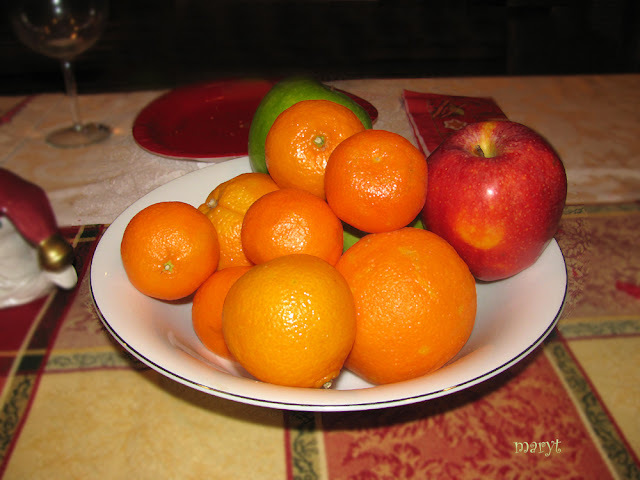 I like that, an apple comfortable with the oranges. I love fruits, I would take fruits over any other desserts. Always a delight to see a plate/bowl of fresh fruit! Looking good! Fun photo! We just got some fresh apples from our local orchard... they are so wonderful this time of year! Love fresh fruit, and this summer has been so good for apples. Love your header. I cant see the link here... where is it? Yummi. Fresch andfull of vitamins.A lovely colourful picture. Love the new header photo, Mary. Beautiful lily blossom. And the apple! Happy fall! A delicious still life of pretty colors. hi there, this my my first time to join your weekly meme. 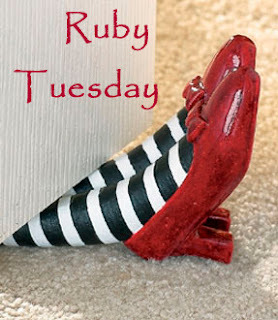 It's cool to join in the Ruby Tuesday fun! Oops! I put that I was linked to you in the wrong post :( I will change it in the morning!! Thanks! Sorry, I entered the wrong date.